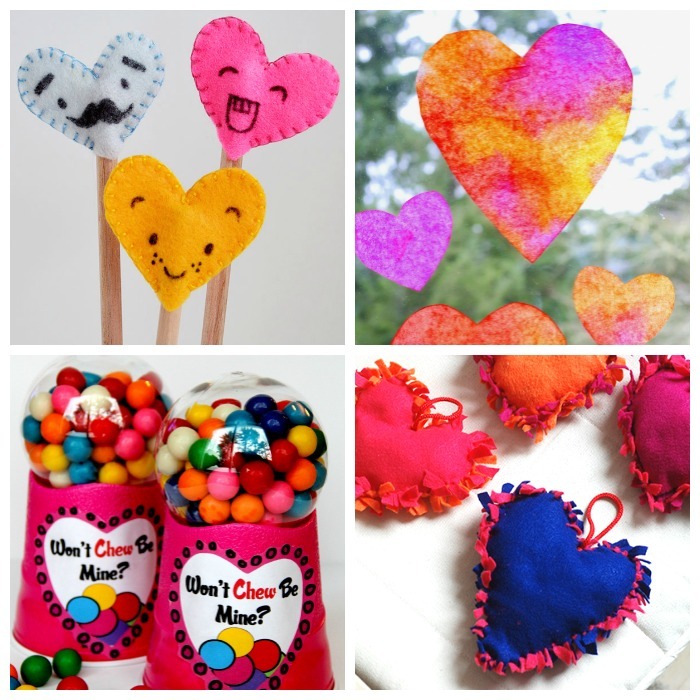 It can be so fun to do crafts with your kids, especially when it is something special like making hearts. 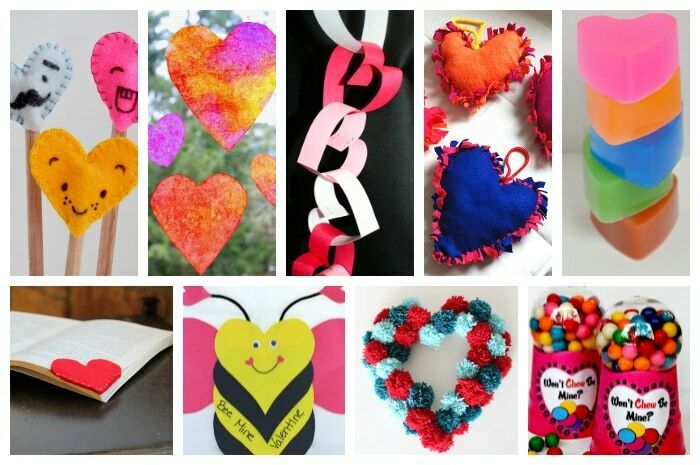 We love doing heart crafts around here, so I thought I would share some of my favorites. 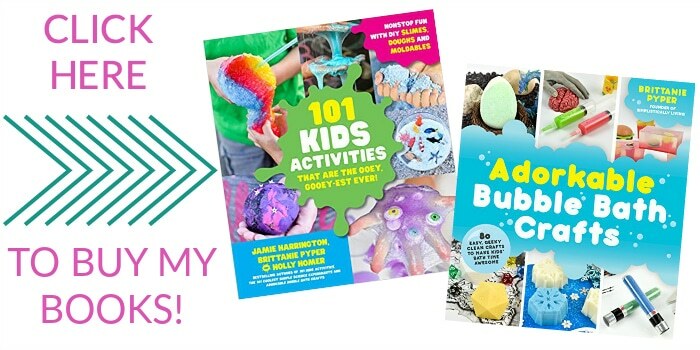 Hearts say so much from “I love you” to “I enjoy having fun with you.” It’s always a great time to sit down with my kids and make these crafts a reality. 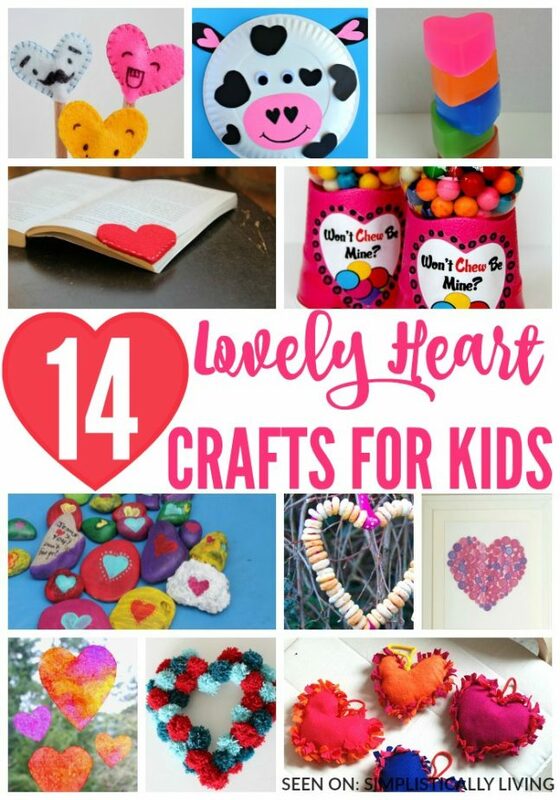 So here are 14 Lovely Heart Crafts for Kids! Heart Soap? Can it really get any better than this? Remember those conversation hearts? They’re the perfect recipe for a heart craft. Check out these 30 things you can do with conversation hearts. How cute are these heart pencil toppers? They could be great valentines for classmates! I love the idea behind this heart chain. Super easy to make! I love this “Bee Mine Valentine” with heart wings, how adorable and cute! My kids would love making it. If you want something simple and budget friendly to make a heart with, these heart sun catchers are adorable! O my goodness, who wouldn’t love this cute cow that has heart eyes, ears, and spots. This no-sew heart pillow may be small but is entirely made with love! If your kids are into reading, then will love making this heart shaped bookmark. This framed button heart is seriously a must do with your kiddos. Spread the love with these DIY heart shaped bird feeders! Using stones, you can create this lovely Heart Stone Craft that the kids will love making. This Pom Pom Heart Wreath is adorable! Make Heart Inspired Day Bubble Gum machines with your kiddos! 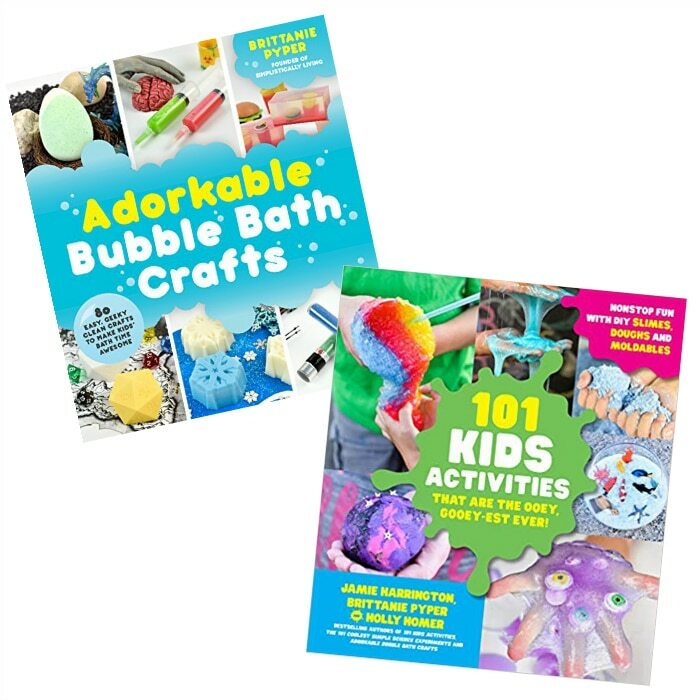 What’s your favorite heart craft to do with your kids? Comment with your favorite heart craft below and I’ll make it a point to go check it out.